Everyday I talk to mothers who feel overwhelmed, isolated and alone. We all do our best to raise our children. Our “best” can only be heightened when we have community support, friendships, and a way to make our voices heard. I know that Bend Moms for Moms, and all of the Moms for Moms Communities around the country, are helping to make mothers stronger, happier and healthier. What a gift to be a part of this! I have to say, managing a Moms for Moms site in a brand-new town is the best way to grow an intimate connection very quickly! Since moving to Bend in Summer ’10, I’ve learned so much about this town through the eyes of the moms I’ve met on my site. It’s gotten me “out there” in a big way, which is always a challenge in a new place. I’ve also been inspired by other newbie moms I’ve met, who seem invigorated to make new connections because of Bend Moms for Moms. I am part of a small but big-hearted family of three. My husband Quinn amazes me each and every day with his willingness to give every ounce of his being to his students, yet somehow save a pound or two of energy and love for the ladies at home. My 3 year old daughter Kila is a spinning top of words, rhymes, songs, strength and will. She sings on the swing at the top of her lungs, and doesn’t care who is watching. I admire her each and every day. I am a mother, a wife, a writer, an editor, a marketing professional, and well, I like to have fun on the river and at the beach. My favorite place in the world is a little island off the coast of Rhode Island called Block Island, and when that spinning top I mentioned earlier gets a bit out of control, I picture myself on the beach at Mohegan Bluffs. 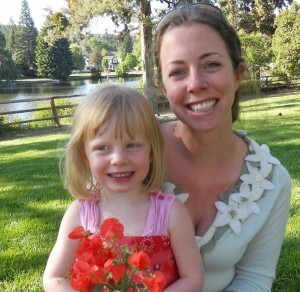 Moms for Moms Communities would like to thank Sarah for her belief in the gift of connection, information, support and inspiration that comes through running a MFM site, along side the commitment and passion with which she grew her community in Bend.